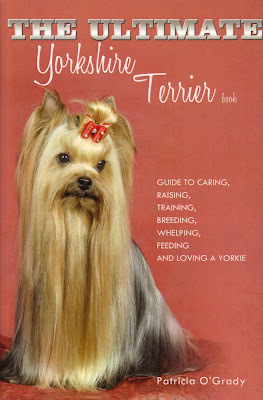 The name of this book really says it all; it is the ULTIMATE book for anyone who is thinking about purchasing or already has the pleasure of sharing their love with a Yorkshire terrier. The author is not only a Yorkie owner, but also a breeder who showed and raised champions for over 25 years. · Detailed information about Yorkshire Terrier standards. · Feeding recommendations just for Yorkies, including a few homemade recipes. · The history of Yorkshire Terriers and their origin. · Purchase information-how to pick out your puppy from its littermates. · Preparing your home for a new puppy arrival. · Children, other pets and your Yorkie addition. · Brushing, bathing and grooming information, including hair wrapping. · Spaying or neutering information. · Yorkie puppy care from birth including weaning the puppies from mom, and selling your puppies. · Advice about when it's time to say goodbye to your old friend. 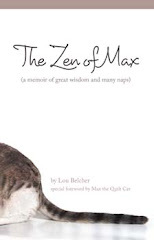 · Also included are Yorkshire Terrier facts, oddities and interesting tidbits just for fun. About the author: Patricia O'Grady lives on the West Coast of Florida with her husband, William. She also shares her home with 2 Yorkshire Terriers, and a talking Quaker Parrot. She is originally from Long Island, New York. Patricia is a professional dog trainer with experience in all breeds. She has raised, bred and trained champion Yorkshire terriers for over 25 years. She's a self-taught cook who enjoys creating new recipes, cooking and eating healthy. She hopes that her success and mistakes as a breeder, trainer and pet owner will benefit other dog lovers and their pets. Patricia received a Covey Award in 2009, for her book, Mirror Mirror Seven Years Bad Luck. It was the judge's choice for Most Artistic Cover, picked for the book cover that best combined art and design. Other books by this author, Woofing it Down - Guide to Making Healthy Dog Food AtHhome, Lapping it Up - Guide to Making Healthy Cat Food At Home, Tales of the Whosawhachits (Young Adult Novel), Mirror Mirror Seven Years Bad Luck (Adult Paranormal Fantasy Novel).